Copper Med Grecian - 1 Yard . 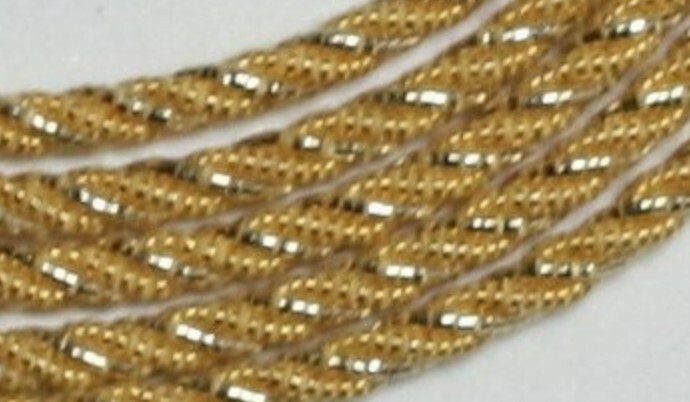 Grecian Twist is made up of four strands, two strands with a smooth yet dull surface and two strands with a shiny serrated surface, all four gold strands are twisted together to make a cord. This cord is great for outlining.